Infraorbital Foramen is also called as Foramen Infraorbitale which is the “Latin” word by which the actual name is originated. 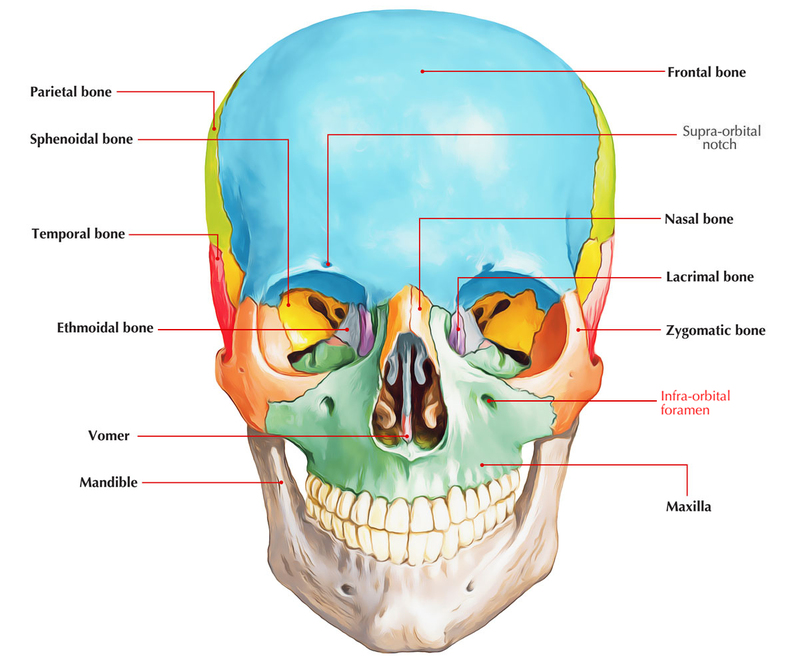 The foramen is a portion of the maxillary bone, not the same as the supraorbital foramen which is a part of the frontal bone of the skull. It is similarly a bilateral foramen. A groove called the infra-orbital groove is found, which continues anteriorly across the floor of the orbit starting posteriorly and going nearly two-thirds of the inferior orbital fissure. This groove attaches with the infra-orbital canal which opens over the face on the infraorbital foramen. The sensitivity of the infraorbital nerve is tested by the infra-orbital foramen, as a pressure point. During extra oral examination or Local Anesthetic administration examination of the area of foramen creates soreness to the area.